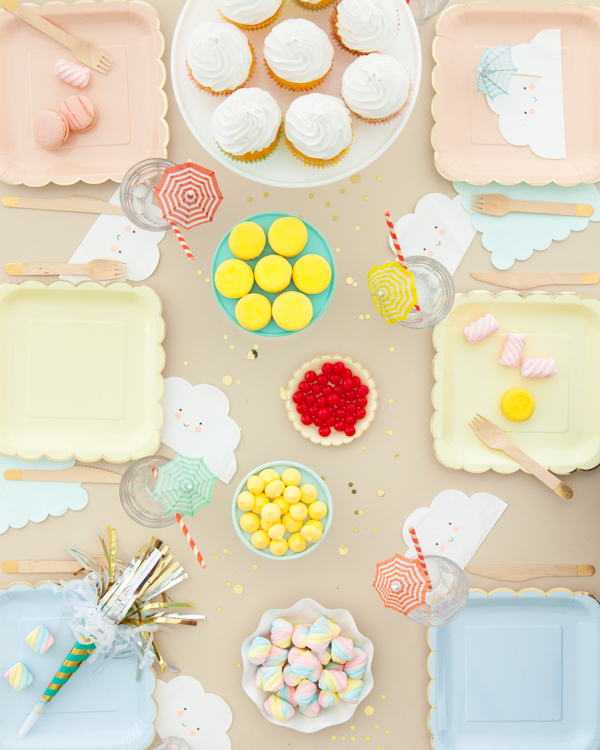 Baby Shower Season is here in full swing. 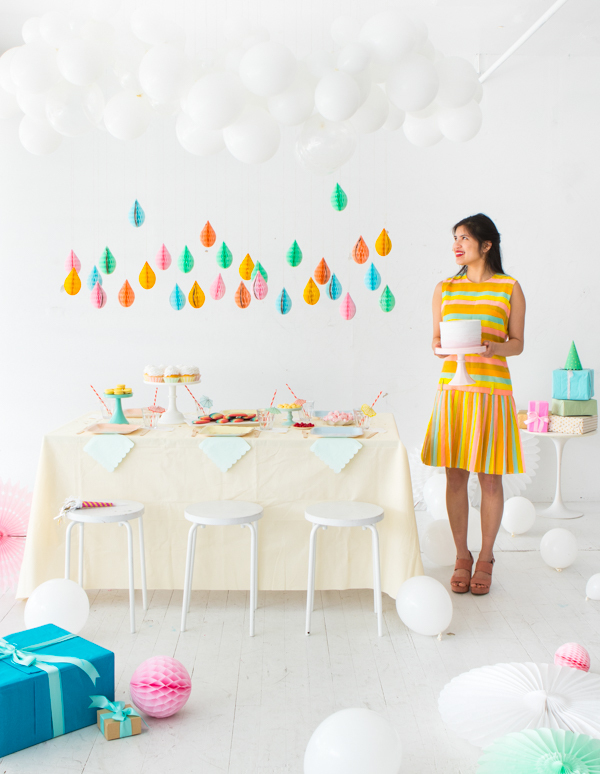 I’ve said this before but showers are some of my favorite types of parties to throw. 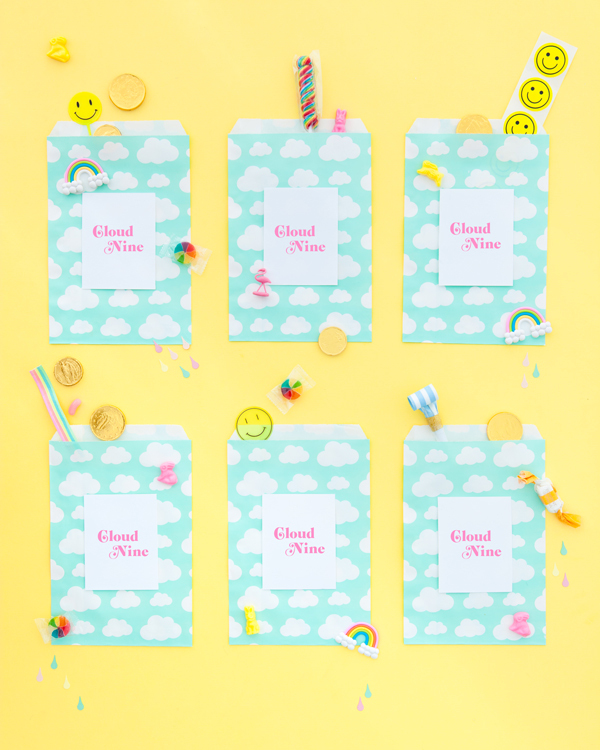 I love that you can do lots of details and usually the guests really appreciate them (unlike a kids birthday where they don’t notice those cute AF labels you put on the favor bags.) 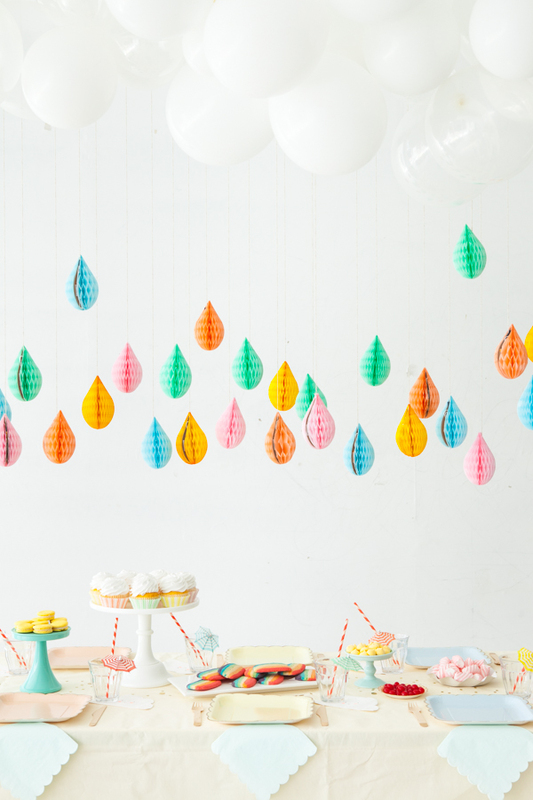 For this baby shower we took the “shower” part literally and made a balloon cloud and honeycomb raindrop decor. It turned out really sweet. Step 1: Cut a thin piece of washi tape and attach twine as close to the tip of the honeycomb as possible. Assemble the honeycomb. Repeat with the rest of the honeycombs. Step 2: Hang honeycombs in a line down the center of the table by taping the end of the twine to the ceiling, while staggering the length of the honeycombs. 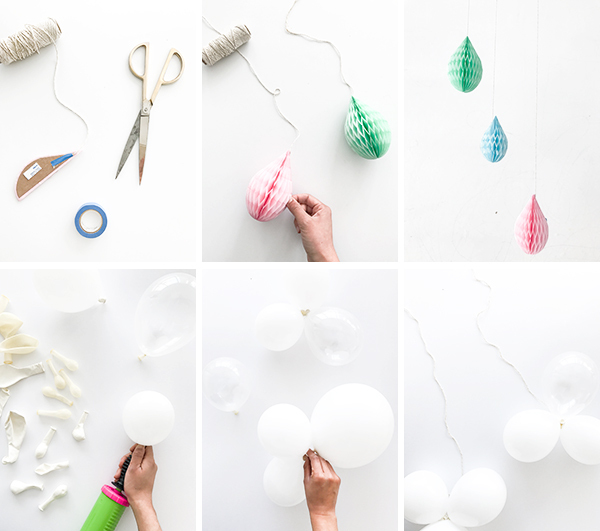 Step 3: To create clouds, inflate a bunch of 11” and 5” white balloons and a handful of the diamond clear ones. 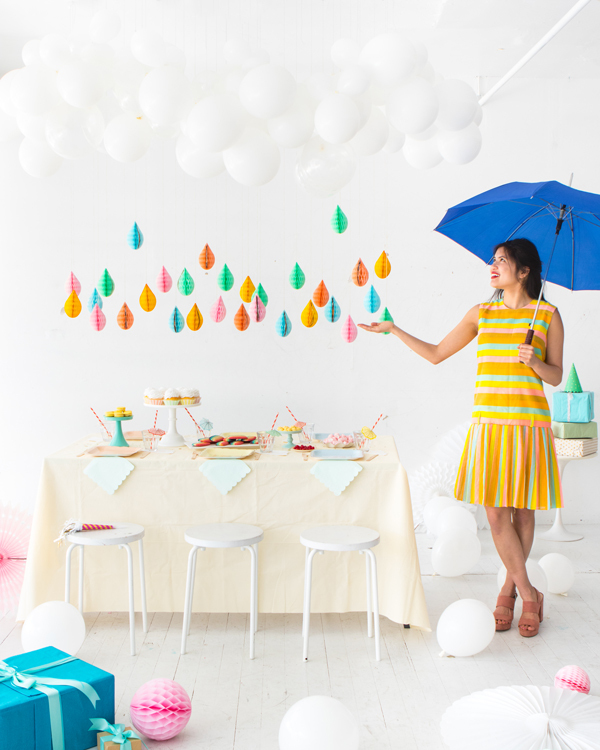 Tie three balloons together to form a cluster. Step 4: Tie twine or thread around the knotted center of the balloon cluster. Tape the end of the twine to the ceiling to hang, slightly staggering the height of the clouds. 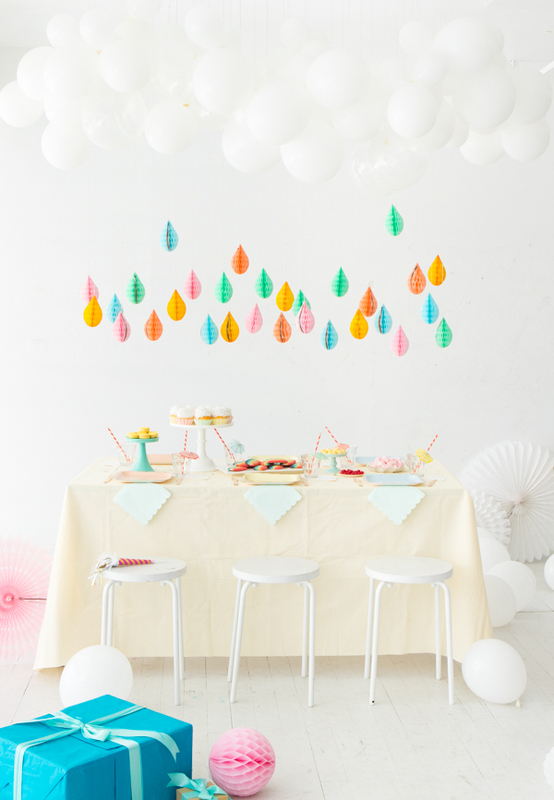 Make enough cloud balloons to go around the perimeter of the table. All done! What an adorable cloud decoration! How adorable. 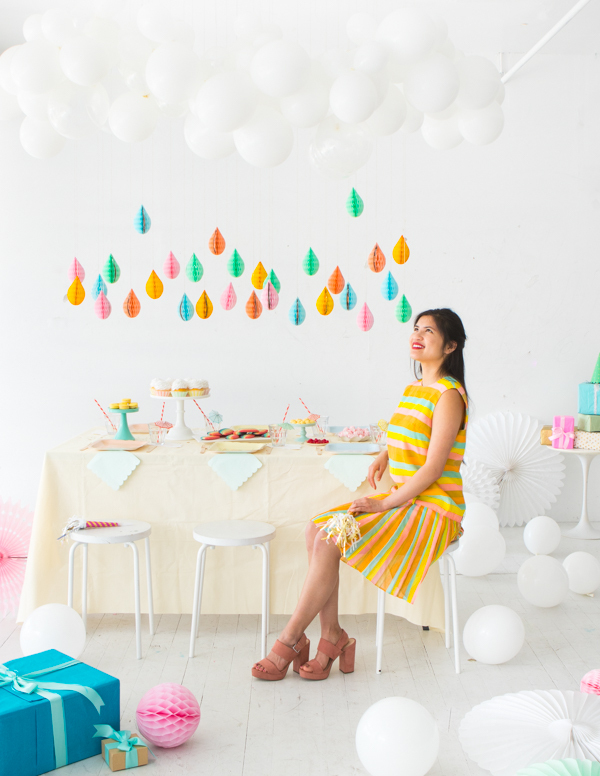 Spring is definitely a great time of year for a baby shower!